- mobile HAAS processing lines! Our Viking, the HAAS TYRON, is connected upstream of the screening machine and performs the shredding work. 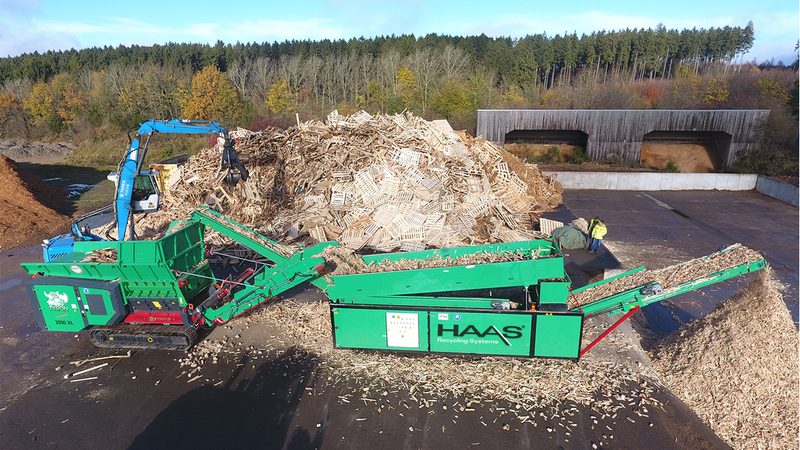 The two-fraction starscreen HSS 6000 is perfect for screening a defined useful fraction (grain sizes: 20-40 / 60-80 / 100-120 mm) of pre-shredded biomass from green waste, roots or waste wood and thus offers a wide range of applications at minimum operating costs. The line is completed by the mobile FE-NE separator "GLADIATOR". A complete sorting plant for iron, non-ferrous and non-ferrous metals is available in a compact and compact design.